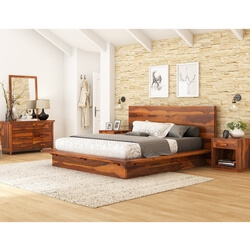 The Modern Handcrafted Solid Wood 4 Piece Bedroom Furniture Set is a beautiful blend of visual appeal and sturdiness. 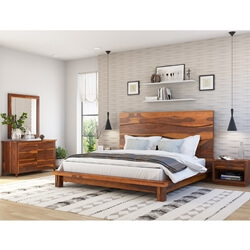 Featuring a low profile platform bed, two nightstands, and a double dresser, the solid rosewood furniture set is ideal for transitional to modern room decor. 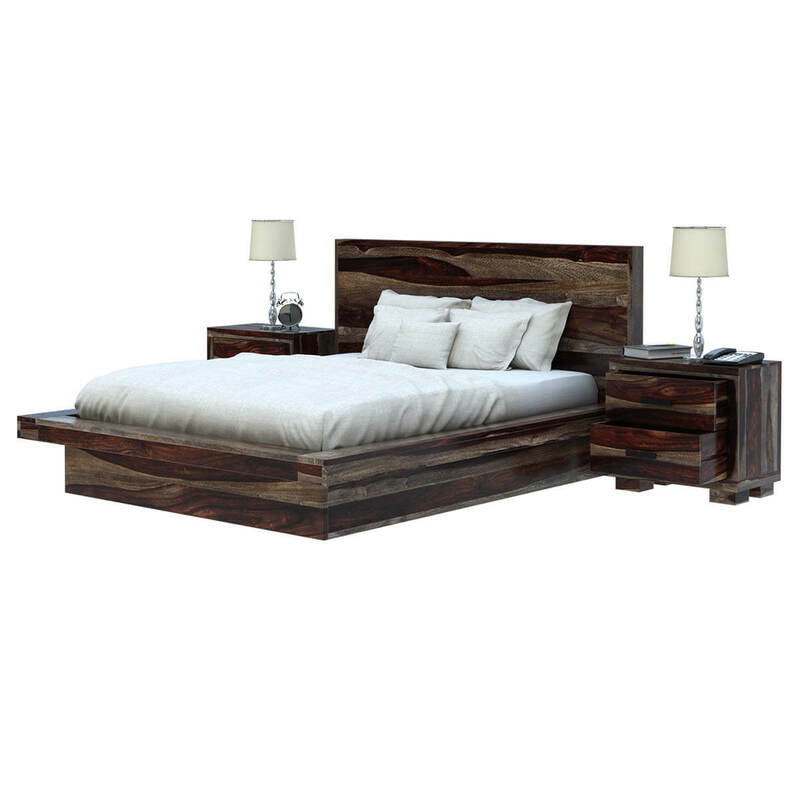 Crafted from solid rosewood, the platform bed features a low profile construction with low headboard. 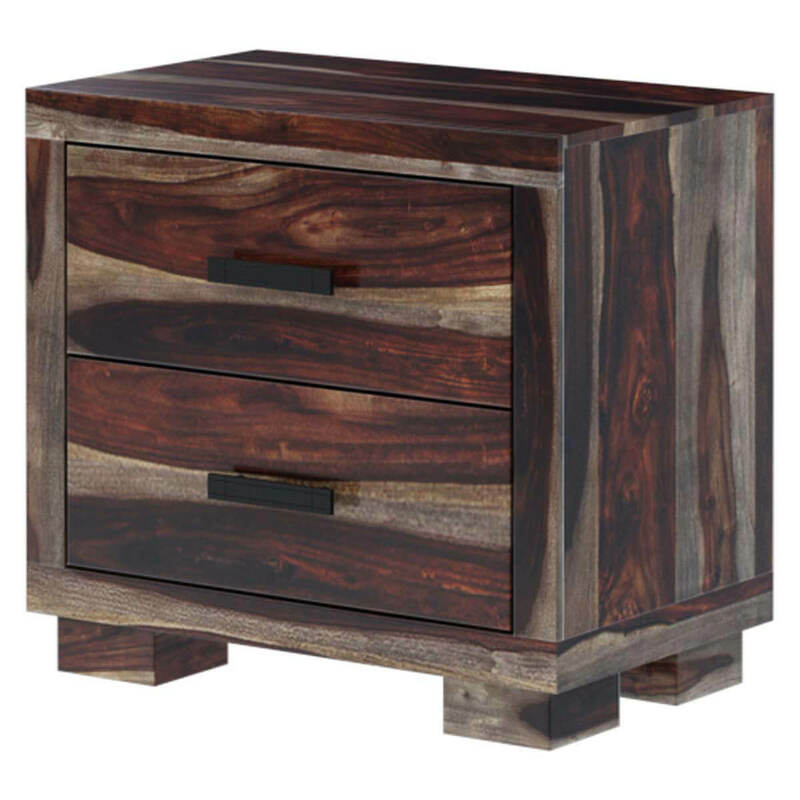 What add to its modern appearance are the protruding sides and no legs. 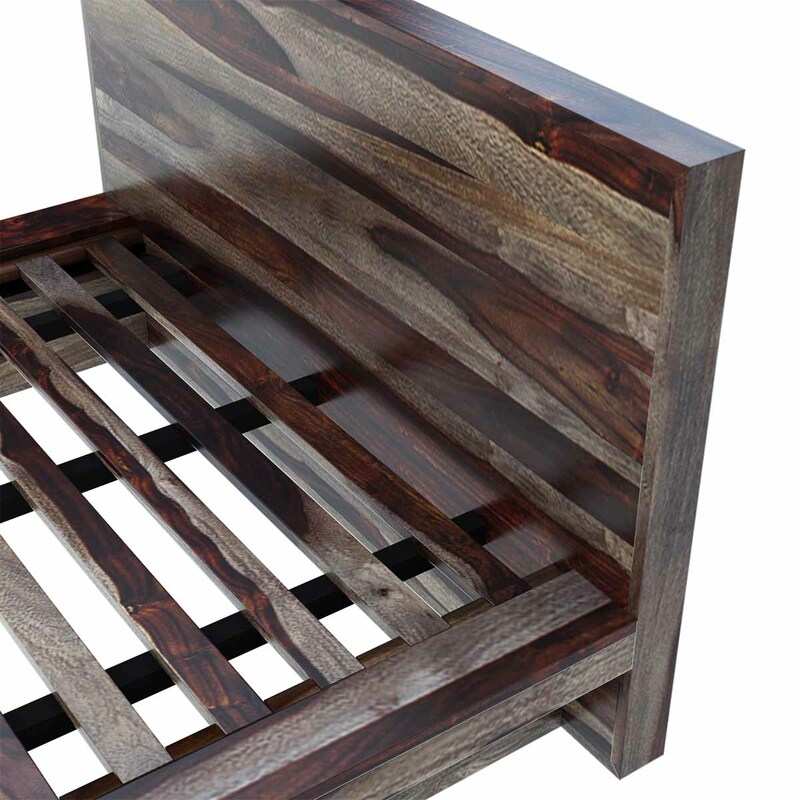 With light and dark natural highlights of the wood, the bed looks simply exquisite. 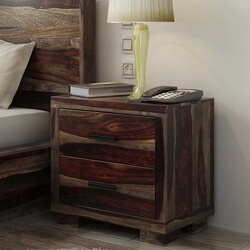 The two nightstands with two smooth operating drawers on each side of the bed take care of the bedtime essentials. 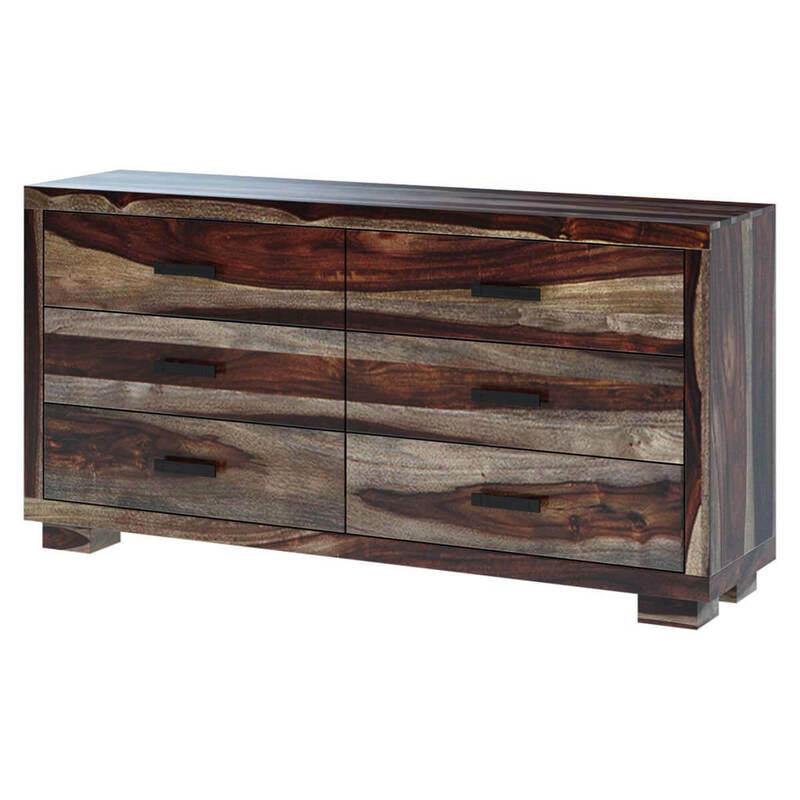 The drawers are accented with wrought iron chic handles beautifully bringing out the modern flair. 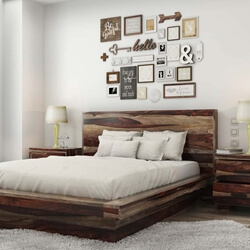 Place decorative, alarm clock, lamp and photo frames on top of each nightstand to further enhance the visual appeal of the room. 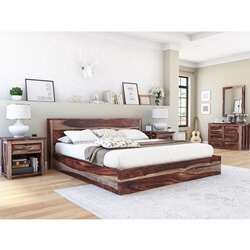 A bedroom without a dresser is incomplete and this bedroom set provides you with a 6 drawer double dresser to extend storage space. 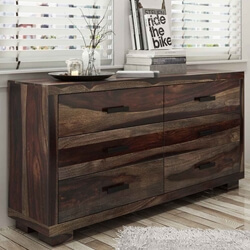 From small accessories to bigger accessories to clothing, the double dresser is a functional addition to your bedroom. 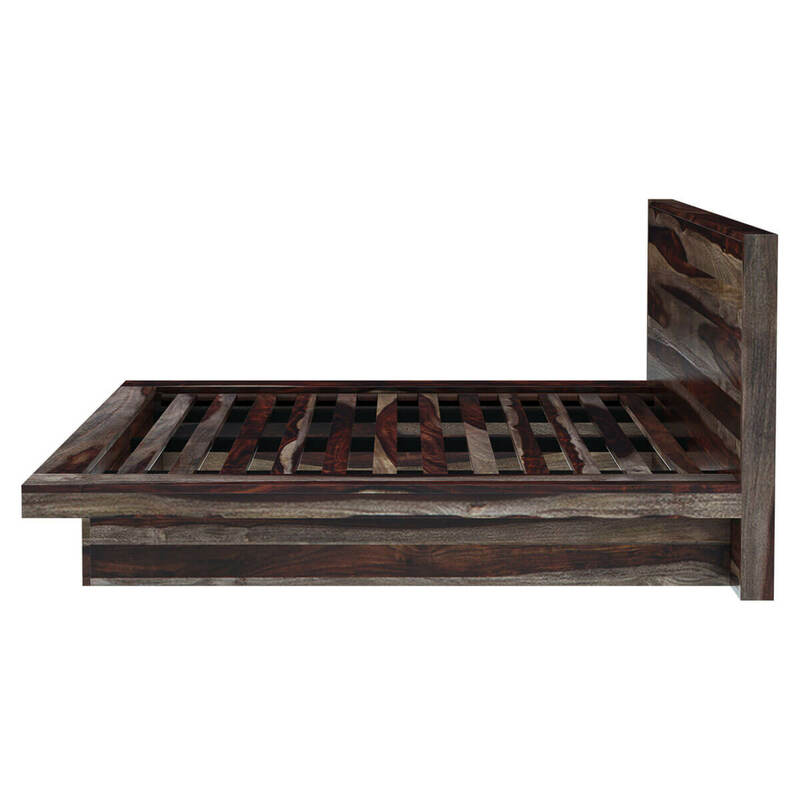 The wrought iron handles, clean lines, and natural wood pattern surely add chic and distinctive details to the entire bedroom set. 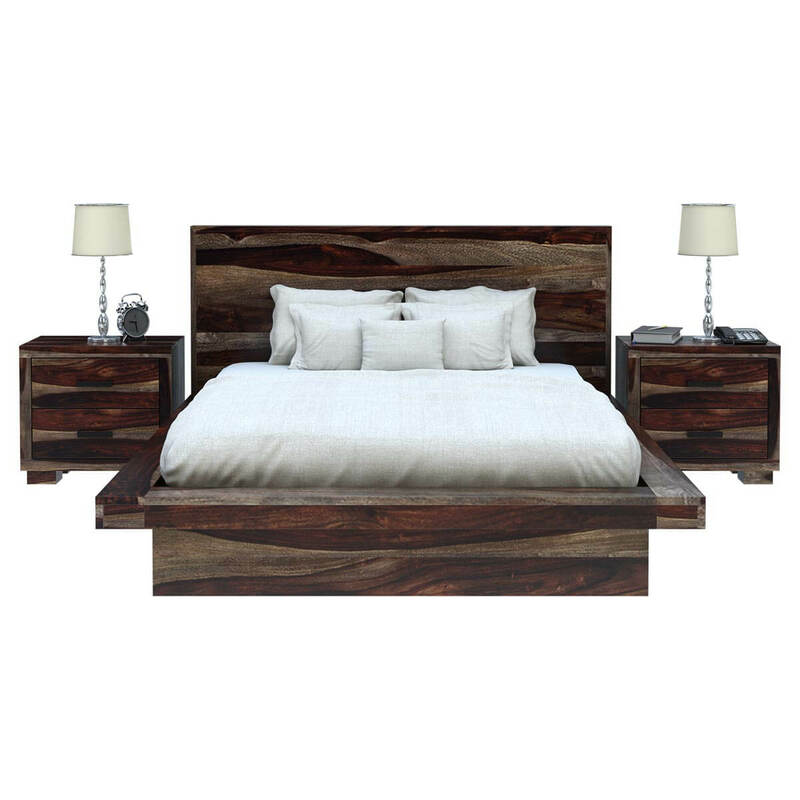 The solid wood bedroom set is made of 100% rosewood, accented with metal hardware. 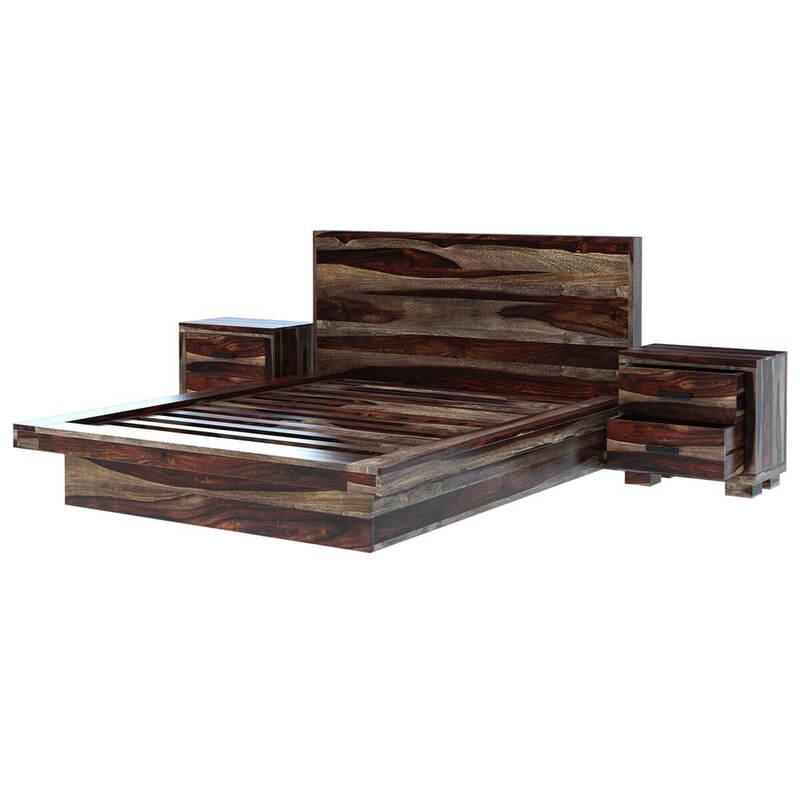 This solid rosewood bedroom furniture set is enhanced with a natural hand rubbed stain and finish.